I’d run out of options. That’s how these things usually happen, how a person ends up placing all her last hopes on a stranger, hoping that whatever that stranger might do to her would be the thing she needed done to her. Catherine Lacey is the author of Nobody Is Ever Missing, winner of a 2016 Whiting Award and a finalist for the New York Public Library’s Young Lions Fiction Award, and The Answers. 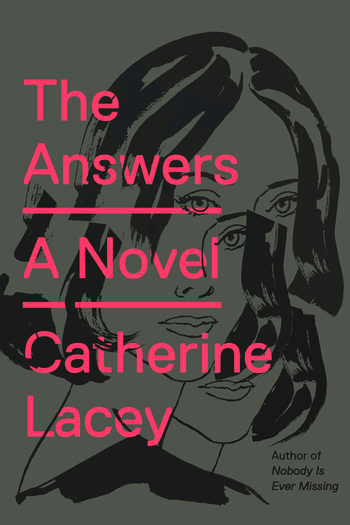 In 201, she was named one of Granta's Best Young American Novelists. Her essays and fiction have been published widely and translated into Italian, French, Dutch, Spanish, and German. Born in Mississippi, she is now based in Chicago.